This cold weather makes me just want to stay inside, curl up on the couch and watch a good movie with some snacks. Unfortunately, I probably have been doing a bit too much of that lately and the snacking has gotten out of control. I know that I should be choosing snack options that are good for me rather than the chips, dips and ice cream that usually accompany my movie watching. 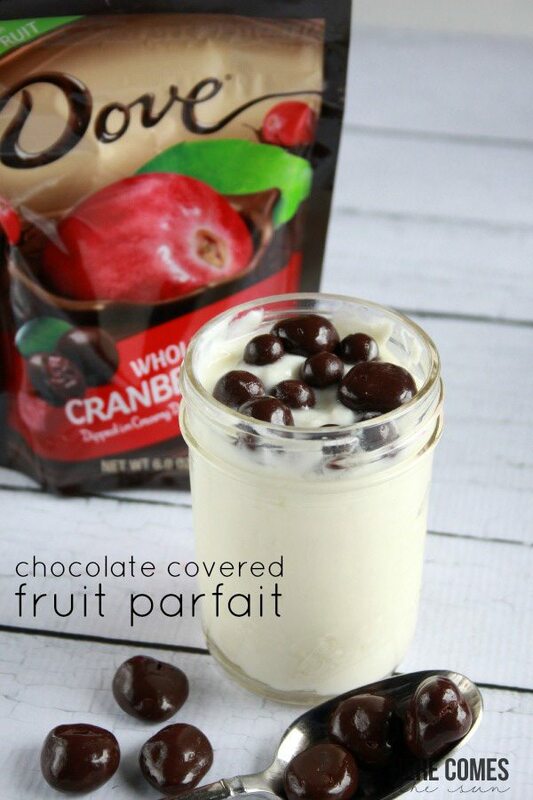 That’s why I was so excited when I found DOVE® Fruit at WalMart the other day and was able to create this delicious Chocolate Covered Fruit Parfait! 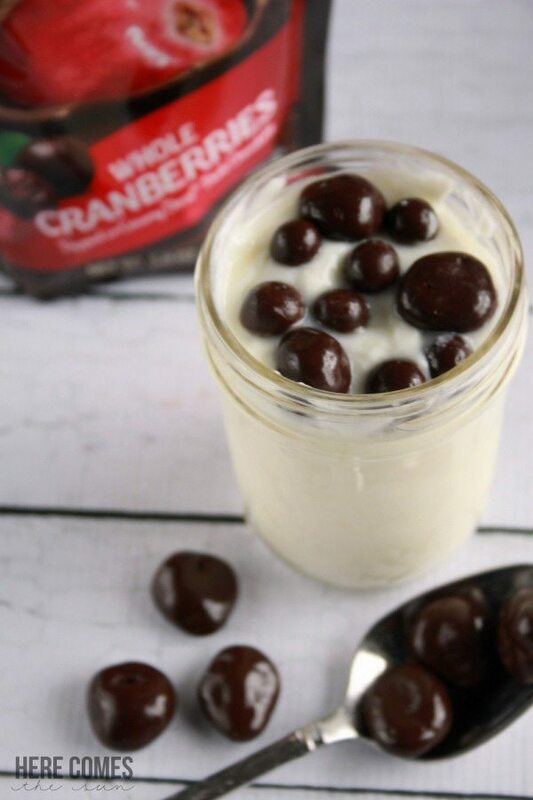 This is a perfect snack with a bit of indulgence thrown in. If you know me, you know that I am in love with anything chocolate. Some people have a coffee addiction. My addiction is chocolate. Dark chocolate especially. When I was pregnant with my son, my husband brought me home 2 chocolate bars one night after work. I think he thought I would spread them out over a couple days. They were both gone with 10 minutes. 10 minutes, people. My name is Kelly, and I have a problem. Enter DOVE® Fruit. 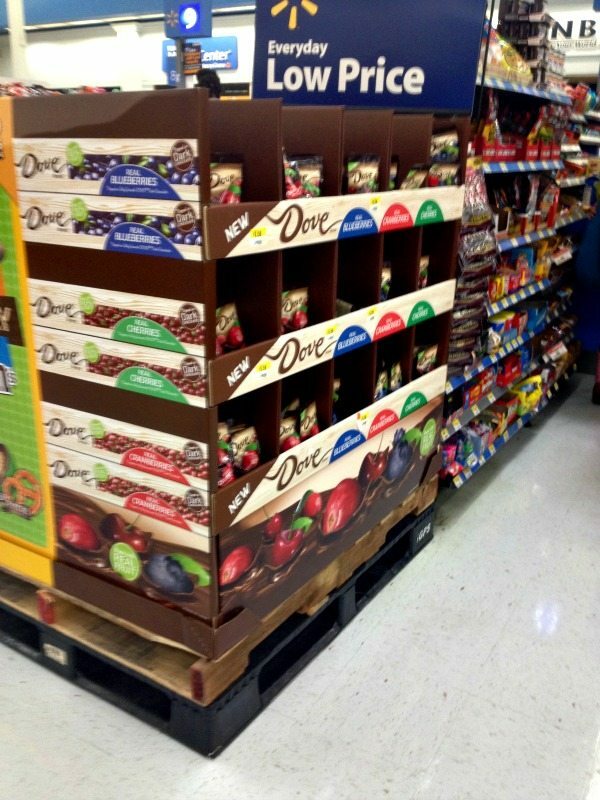 DOVE® Fruit is real fruit dipped in dark chocolate and it comes in three fruits: cranberry, blueberry and cherry. I found them right by the checkout and bought one of each! I combined DOVE® Fruit with vanilla yogurt to make a better snack option than my usual chips and dips. 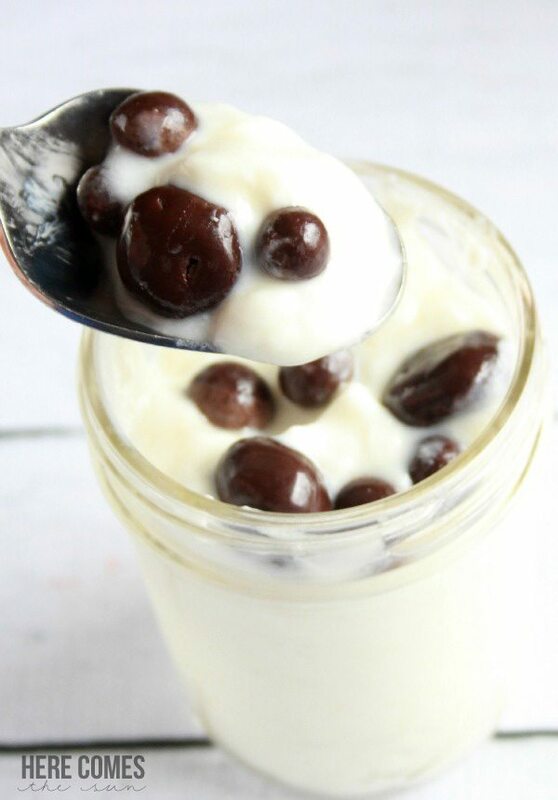 I can feel good while eating this knowing that dark chocolate is a powerful antioxidant in addition to providing many other wellness benefits. The dark chocolate is just enough to satisfy my sweet tooth without completely wrecking my waistline. You can also add some granola and turn it into a great option for breakfast. Because chocolate for breakfast is always ok in my book! What are some of YOUR favorite snack options? See more great DOVE® Fruit recipe ideas on the DOVE® Fruit social hub. You can also download a coupon to save on your DOVE® purchase here. Wow. Yum! That looks like a great combination! I keep seeing these Dove Fruit everywhere but haven’t tried them. Now I really want to! You need to try them, Ashley! They are so yummy! 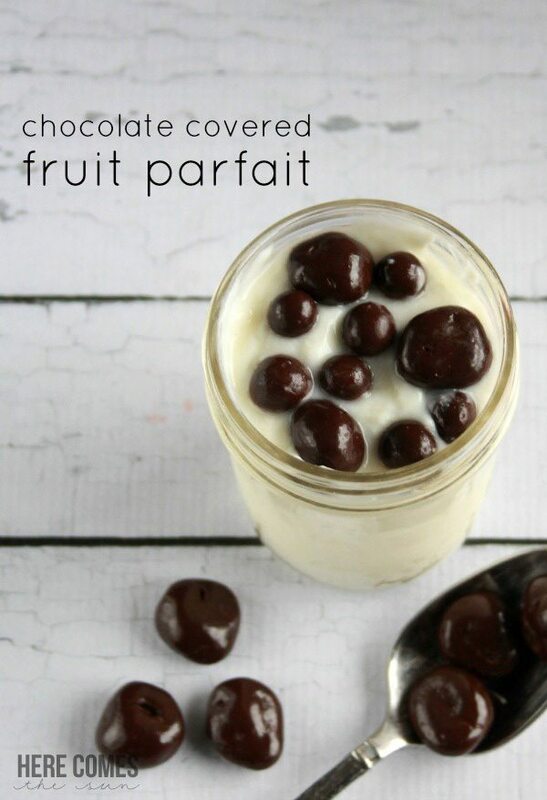 What a fun and delicious way to enjoy yogurt and chocolate covered fruit! Those are SO good; I bought one of each too! I have been eating them straight out of the bag, but your way is good too. 😉 I’ll have to try it!